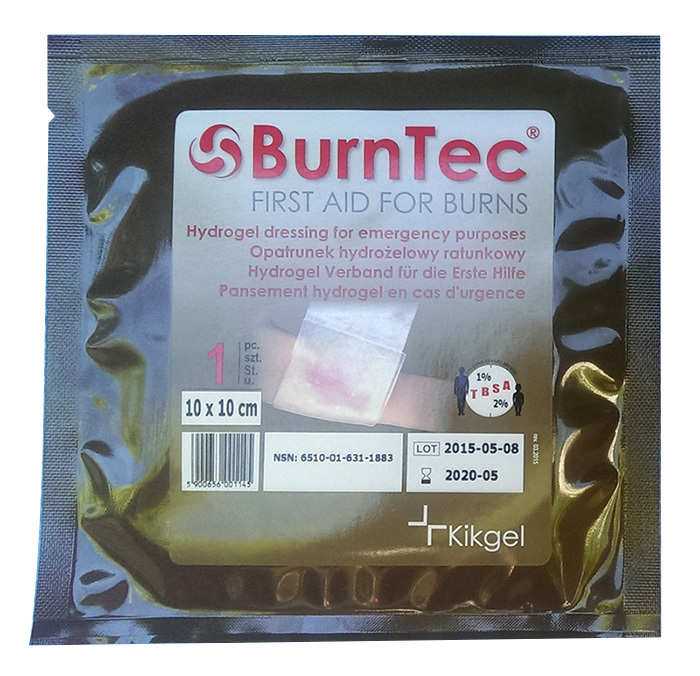 BurnTec hydrogel dressing is different from other first aid dressings. 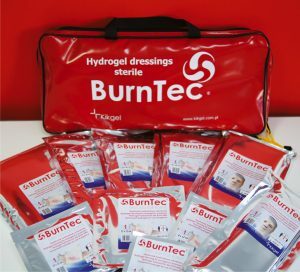 Owing to its stable-sheeting hydrogel structure, the BurnTec dressing guarantees even coverage and distribution of cooling activity over the entire burn surface, even for the most extensive injuries. In addition, the stable structure of the dressing also eliminates the risk of spilling or damaging the cooling hydrogel. 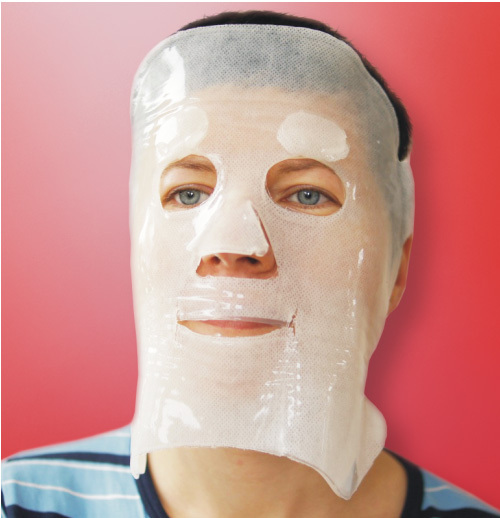 While using BurnTec hydrogel facial mask dressing, we can be 100% sure that the hydrogel does not get into the respiratory system, even if oxygen therapy is used. 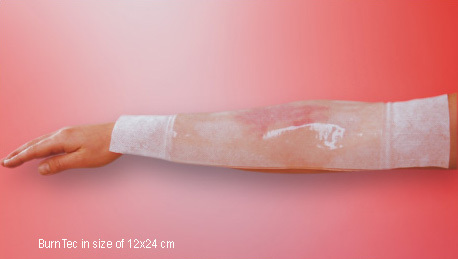 Even large hydrogel pads adhere well to the wound and can be applied quickly and easily. BurnTec is widely used by medical rescue services, fire brigades and the army. They can also be used in medical care during sporting competitions. The dressing is often included in workplace first aid kits and it is appreciated by persons responsible for occupational health and safety. BurnTec hydrogel dressings are an aqueous composition of natural and synthetic polymers cross-linked by a beam of electrons. Thanks to radiation processing, the product features sufficient mechanical strength and is fully sterile. In the form designated for end users, it is a 3.5 mm thick hydrogel sheet, containing polymers and over 90% water, constituting a three-dimensional network. 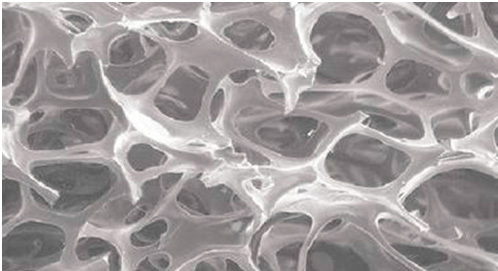 Hydrogel dressings are flexible and elastic what facilitates application. They adhere well to the body and, thanks to the addition of non-woven fabric, they are durable, tear-resistant and convenient to apply. The hydrogel structure of the dressing makes it possible to maintain an optimal moist wound environment. For superficial burns (e.g. sunburn), the dressing moisturises the affected area very efficiently, while for exuding wounds, wound secretion is absorbed and contained within the hydrogel structure. Additionally, the dressings let air through and constitute a barrier to bacteria, protecting the wound against external contamination. 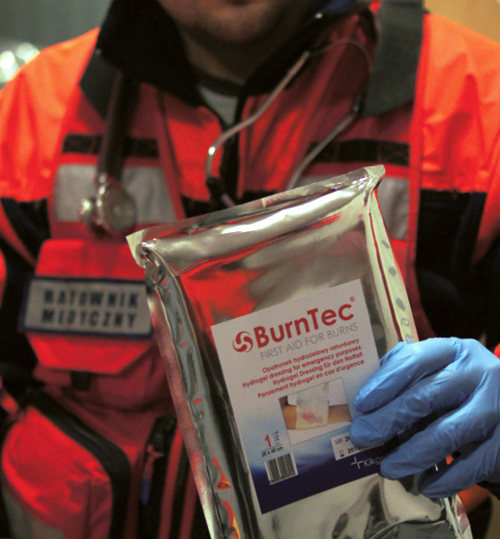 We brought a special version of the BurnTec dressing to market for the purposes of rescue military services. It is packed into khaki-coloured bag, the label has the same colours as well. At present our dressings are found on equipping tactical-rescue rucksacks of Armed Forces of the Republic of Poland, moreover they were present at the medical equipment in missions in Iraq. In the recent time BurnTec dressings distributed in the USA by the North American Rescue Company were on equipping in IFAK medicine cabinets (Individual First Aid Kits) of elite American US Marines Forces. 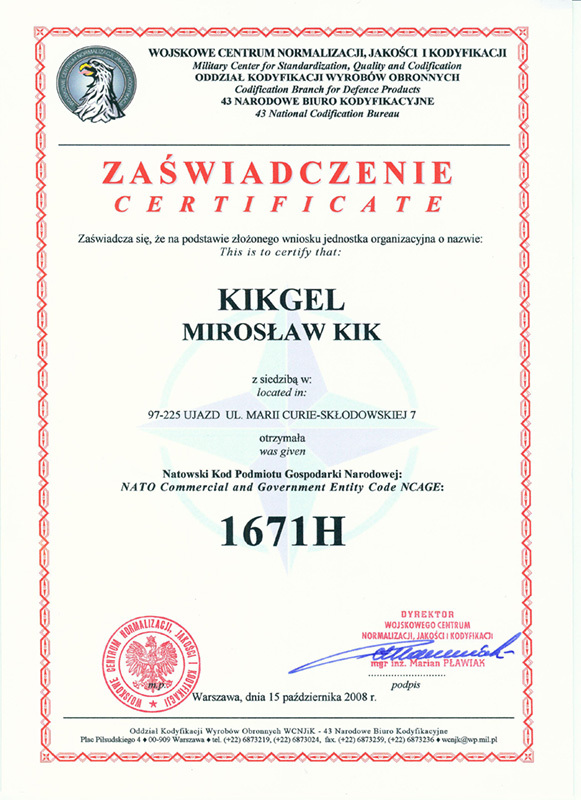 Our dressings gained an approval of the FDA agency, they have a NSN code (NATO Stock Number), furthermore our company received the NCAGE Code (NATO Commercial and Government Entity Code). 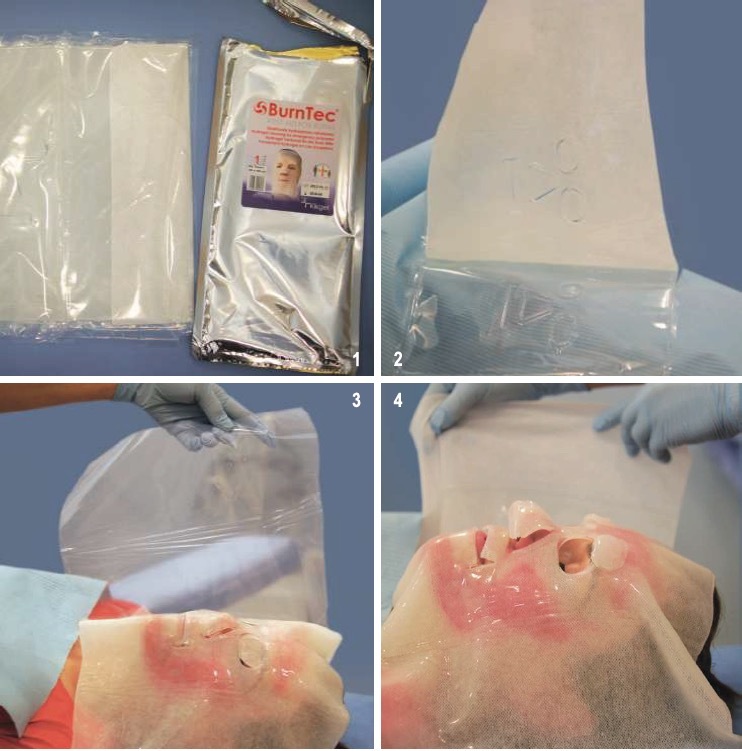 BurnTec hydrogel dressing should be applied as soon as possible on the affected area. Sufficient cooling, as ensured by the dressing, prevents further thermal destruction of tissues and blister formation. As BurnTec consists of a hydrogel mass, it has excellent pene-tration and thermal conduction parameters as well as high thermal capacity. 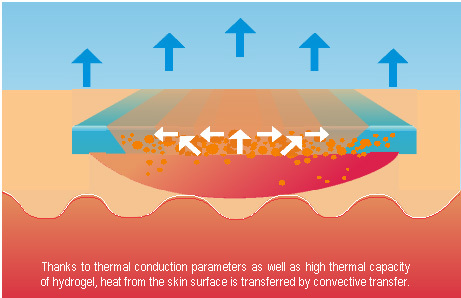 Thanks to these properties, heat from the skin surface is transferred to the dressing and, through the phenomenon of convective heat transfer, is distributed evenly over the entire area of the dressing and transferred outside. 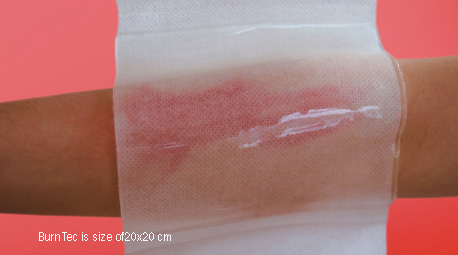 The hydrogel dressing not only ensures appropriate thermal balance but also moisture balance on the wound surface, which, in turn, accelerates epithelialization and tissue healing processes. 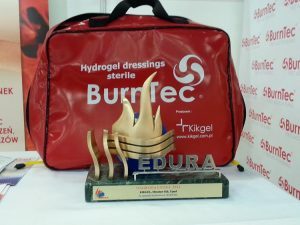 The BurnTec Hydrogel Bag was awarded on International Medical and Fire Rescue Exhibition EDURA 2014.